To know that long-distance use of platic-coated PVC lay flat hose, platic-coated PVC lay flat hose through the road is also different, if you want to pass through the road, you need to try to choose nearby drainage section lay PVC flat hose, but if you want to pass through the railway, you need to put platic-coated PVC lay flat hose from below the rail. Through, and in the process of platic-coated PVC lay flat hose laying, the phenomenon of platic-coated PVC lay flat hose turning should be avoided. 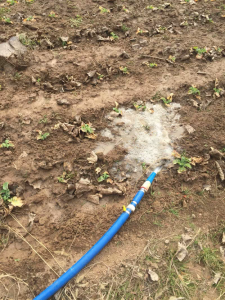 Otherwise, the hose will rotate under the pressure of water flow, and the platic-coated PVC lay flat hose will be detached. Therefore, it is necessary to use the platic-coated PVC lay flat hose all the time in the process of platic-coated PVC lay flat hose laying. Quantitative avoidance of this situation. But one step method PVC lay flat hose produced by our company is of high quality, the same laying process and the same time, but we can guarantee that our PVC lay flat hose can last longer than other companies’Plastic-coated PVC lay flat hose. We dare to say this about our products because we have received many feedback from our old customers. 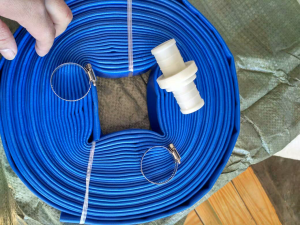 If you need One step method PVC lay flat hose, you can contact Mr. Martin of our company at the Email:Email:sales@goldsione.com We will provide you with samples.